Hitman 2 has been available for a couple of months now, and millions of players worldwide have been finding clever ways to assassinate targets in different outfits as Agent 47. IO Interactive has been listening to player feedback, and have just released Update 2.13 along with the Hitman 2 Snow Festival. In the festival, players will find a bunch of new items such as a snowball, arctic tool box, and piton, as well as a super-cool winter sports suit. The Hitman 2 Snow Festival is available via the Hokkaido Legacy location from January 21 until February 12, and from February 22 at 13 UTC (February 23 in Australia), anyone at all can download the entire Hokkaido Legacy location, including the Hitman 2 Snow Festival, with progress carrying over to the full game if you choose to purchase Hitman 2. 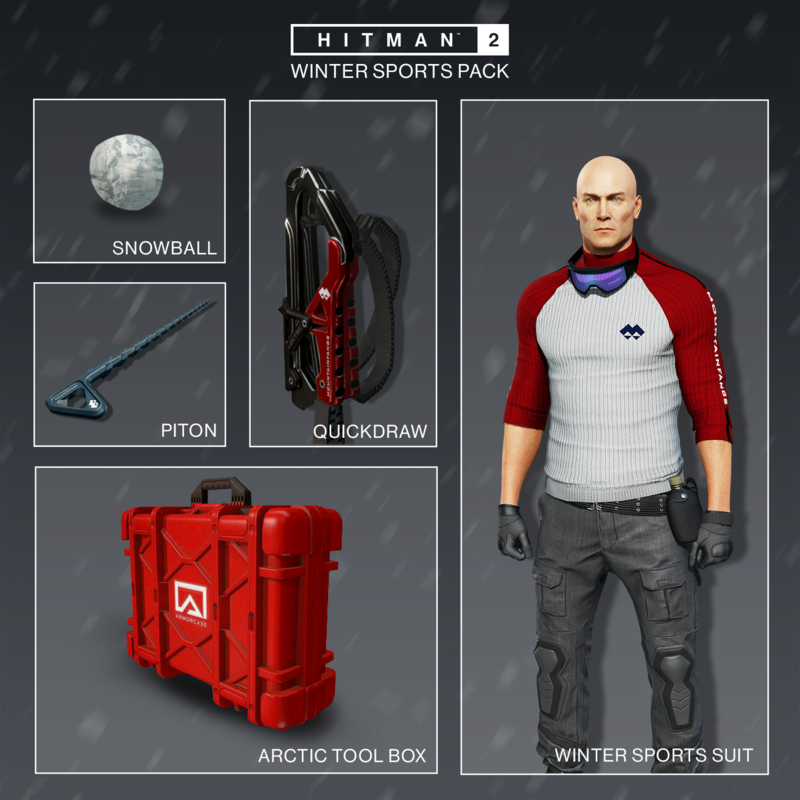 Also included in the Hitman 2 Snow Festival is a Snow Master Challenge Pack which will reward you with an ice pick and a snow festival suit, which are permanent unlocks for anyone who unlocks them during the event. Check out the full Hitman 2 Snow Festival Update 2.13 Patch Notes after the drop! Hitman 2 Snow Festival Update 2.13: What’s Changing? The Hitman 2 Snow Festival will run from January 21 to February 12. Hitman 2 is available on Xbox One, PlayStation 4 and Windows PC. For more information, head to the official Hitman website. Hitman 2 Release Date, Trailer & More!